Bauxite/BFA supply shortage | CMP last man standing? The heat is on: Chinese BFA is in short supply, prices are rising fast, and Henan province expects plant closures Nov 2017-Mar 2018. If ever there was a time to acknowledge and try to understand the significant influence of Chinese policies on industrial mineral supply to western markets – and there have been doubters out there with their “crying wolf” accusations in recent years – that time is now. Indeed, if one was smart and could interpret evolving events in a “Chinese” rather than “Western” manner, that time was actually about 12 months ago (and some would argue even earlier). The upshot is that 2017 will be remembered as the Year of the Perfect….or, Imperfect Storm (depending on whether you are a mineral producer/developer outside China or consumer of Chinese minerals, respectively). 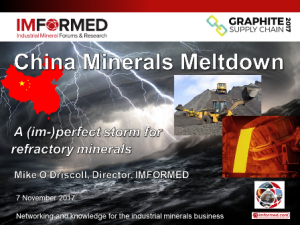 The cumulative effects of swift and robust central government policies in cracking down on pollution, explosives provision, and unlicensed businesses, not to mention domestic market demand factors, have combined to create a storm of severe shortages and soaring prices for key industrial minerals exported from China (see Newsfile 28 July 2017: China minerals supply squeeze: hangover to 2018 likely). The impact has been keenly felt by consumers of refractory raw materials such as calcined bauxite, brown fused alumina, dead burned and fused magnesia, and graphite. This is not a cyclical phase; the fall-out is unlikely to be temporary for many operations; this time it’s serious. 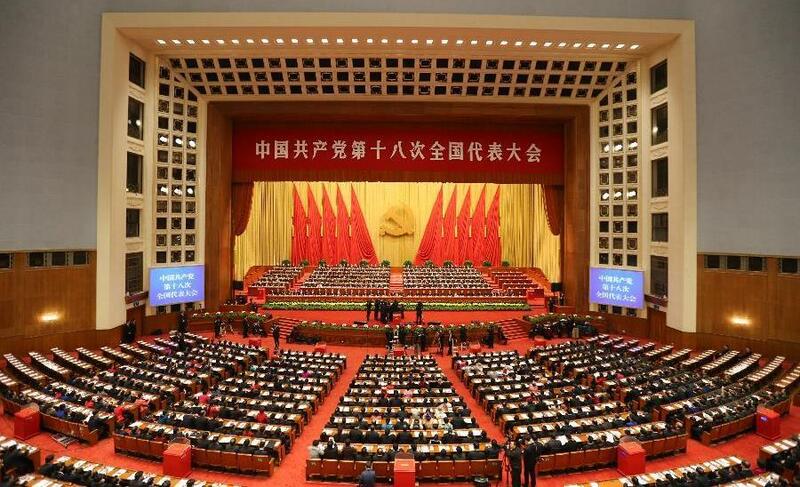 Underpinning these impacting factors on Chinese mineral supply is the much wider game of Chinese internal politics, to be played out at the imminent 19th National Congress of the Communist Party of China commencing 18 October in the Great Hall of the People (see below). The resultant tight squeeze on refractory mineral supply for export is simply collateral damage in Beijing’s grand scheme of things. 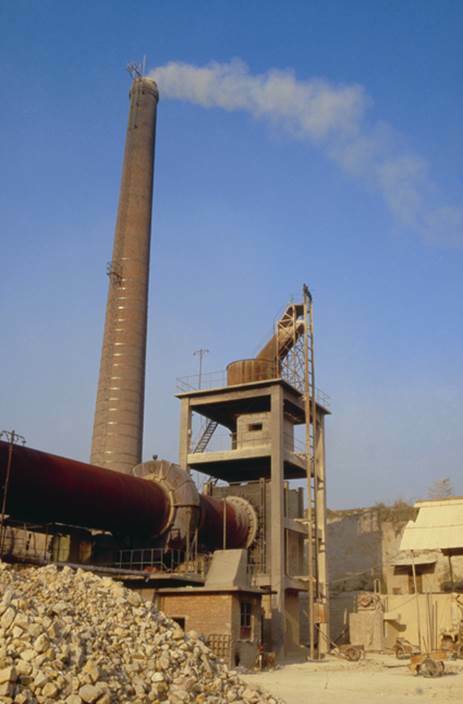 A bauxite calcining plant at Jiexiu, Shanxi: most plants in the province have stopped production owing to government environment inspections. As one supplier put it: “Bauxite has all but now stopped from Shanxi province”. Most Shanxi calcination plants have now stopped calcination, with similar happening in Henan province, prompting a shortage of rotary calcined bauxite to crush and size by the wider processing sector for export customers, as well as feedstock for BFA production.. Leading bauxite producing and processing centres in Shanxi, Guizhou, Henan, and Tianjin were subject to another round of plant closures for government environment inspectors during August/September. Reports indicate that many of the smaller plants in Shanxi and Tianjin which were active suppliers for calcined bauxite exports have been closed and many will never re-open. This is owing to either unaffordable required environmental upgrades or inability to secure the necessary permits (environmental and business licenses) to continue operations, or both. Many of the small unlicensed processing plants operating in publically rented warehouses in Tianjin have either closed or are restricted to limited operating hours at night. The strict control over explosives provision to miners during the year finally culminated in a complete ban on supply from 1 October, with security concerns over the impending 19th National Congress. The ban is apparently for a period of at least one month, although there is no guarantee whether this will be realised, and for many mining operations, especially in northern China, the November-March winter period is normally closed to drilling and blasting. Many Chinese processing plants and traders have been caught out with little or no stocks, with only the larger players perhaps housing now rapidly depleting stocks. The situation has enhanced the pressure on buyers: no immediate payment, then no material supplied. In many cases cash is King, and a deposit is required in advance of production, plus the highest bidder wins. Often it is a case of a 20% deposit, then 80% within 15 days of loading date. It’s dog eat dog. Regarding brown fused alumina (BFA), a compounding factor is Chinese domestic demand reported as very strong with many BFA producers considering exports a lower priority. With the coming winter months and in turn the almost instantaneous switch-on of country-wide energy supply for heating, fused mineral prices – consuming much electricity – are expected to rise further. 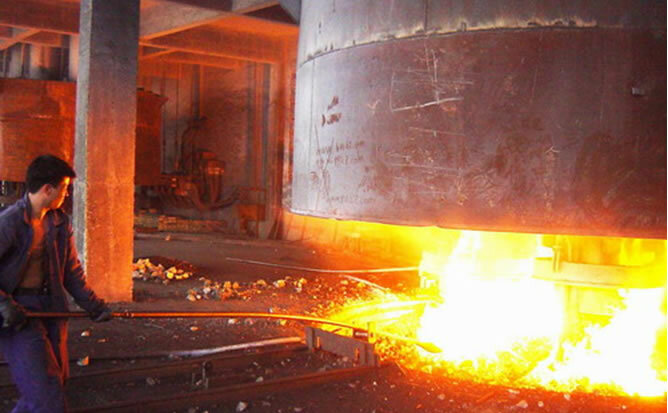 In an effort to conserve electrical energy as well as the environment, the government of Henan province is to enforce large scale BFA plant closures from November 2017 to March 2018. Prices for BFA 95% Al2O3, big bags are ranging around US$750-770/t FOB, translating to around €770-790/t delivered Europe. Prices for Chinese calcined bauxite, rotary 86% Al2O3, lump 0-50 mm, FOB are in the order of US$400-450/t; crushed sizes of rotary 83-85% Al2O3 FOB range US$425-455/t. European consumers must pay an import tax of 5.2% plus freight costs, eg. US$42/t for container, which translates to delivered European prices for Chinese calcined bauxite ranging €445-465/t. There are few stocks of BFA and bauxite in Europe. There exist some limited stocks of 4-5 month old material in Germany only, but it is unknown how long these will last, probably not too long. New supplies of BFA and bauxite are expected only at the end of December or in January 2018, and there remain concerns over the precise volumes and availability of these deliveries. Certain European refractory mineral suppliers have increased prices by some 12% and are intending to “ration” their supply to just a fewmain customers in 2018. China Mineral Processing Ltd, based in Tianjin, is apparently the only major mineral processing plant still operating in the area. This is mainly down to it securing environmental and processing permits, as well as its location in a Special Economic Zone. However, like other processors CMP acknowledges that it also has a shortage of raw material in stock, even though the company owns a mine in Guizhou and has a calcination plant in Shanxi. 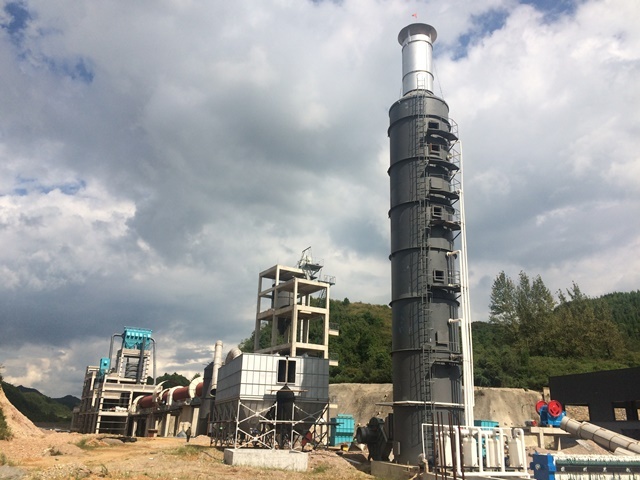 In an effort to mitigate the situation, CMP is planning to start a new 120,000 tpa capacity calcination plant in November 2017 utilising both high pressure shaft and rotary kilns located near its mine in Xiuwen, near Guiyang, Guizhou province. 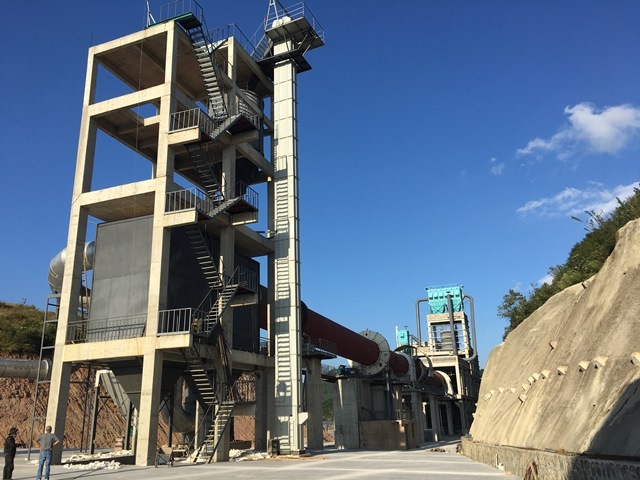 The Xiuwen rotary kiln is to be started up by the end of October, producing 85-90% Al2O3 lump in November; long term output is envisaged at 8,000-10,000 tpm. The mine, exploiting a deposit of some 3m tonnes bauxite reserves through open pit and a single adit, has been in operation since June 2012, producing 100-200,000 tpa non-metallurgical grade bauxite. CMP has all required permits and is expecting to supply the market in early 2018. Two containers of bauxite were delivered in September to Europe for testing. The lump bauxite will be transported to CMP Tianjin in bulk for crushing and also to south China ports for export in lumps. CMP will also be able to supply BFA since through supply of its calcined bauxite to a toll BFA lump plant. The 19th National Congress of the Communist Party of China (NCCPC), starting on 18 October for a week, is held every five years and theoretically is the highest body within the Communist Party of China. The Congress is expected to see President Xi Jinping consolidate his position at the helm of the world’s second largest economic power, and determine economic policy for the next few years. More than 2,000 party delegates will appoint the Party’s general secretary, as well as senior leaders to bodies that oversee economic and security functions. 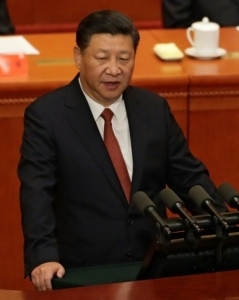 While it has been projected that there will be significant changes among the top party members, President Xi is widely expected to be reappointed, and he will likely follow a similar reform trajectory, focusing on mixed ownership reform for state-owned enterprises and less orientation toward the market. The most pressing question is whether Xi will name a successor. Xi’s tenure has been notable for a severe anticorruption campaign at all levels of the party, as well kick-starting China’s anti-pollution campaign. President Xi is widely expected to be reappointed at the 19th National Congress. For Xi’s second term as president, the party is likely to emphasize further domestic economic reform with the promotion of innovation-led development and the expansion of China’s international reach through instruments like the One Belt and Road Initiative. Although specific economic policies are not laid out at the October meeting, who ascends to power and what is stated officially at this meeting sets a strong tone for the Third Plenary Session of the 19th CPC Central Committee in the fall of 2018, which will itself set forth an economic agenda for the next five years. The upcoming party congress will probably focus to a great extent on Xi’s concept of the “Chinese Dream,” which is aimed to create a moderately prosperous society by 2021, at the centennial of the CPC, and to rejuvenate the nation by 2049, at the centennial of the People’s Republic of China. 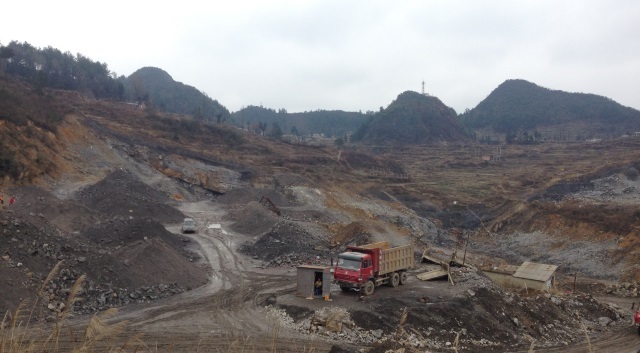 The clampdown on pollution, corruption, security, and business practices, which are so impacting the minerals industry, are just part of the Beijing-led wider programme in China’s political and economic evolution. On the one hand it might be apparent that nothing is clear. There will be some that will assume this situation will pass and China’s minerals industry will go back to “business as usual”. One of the issues is that there appears to be a perception among some mineral consumers in Europe that things are not quite so bad; either through a lack of knowledge or appreciation of the China situation; owing to still being able to draw down on stock from old contracts in European warehouses of their suppliers; or still receiving limited bauxite from small Chinese traders. But this time around, given the clear heavyweight implementation of recent central government-led measures, listening to the situation in China, it is surely unlikely that things will ever be the same again. And mineral traders and consumers should prepare for this – as will, and are, mineral producers and project developers outside China (desperately wishing they had started investing and expanding earlier). It seems that global mineral consumers are just starting to wake up to the reality that the whole market might be short in 2018, which is why certain refractory companies for example, are now trying to bring forward their 2018 negotiations and fix 2018 contracts as soon as possible. There is a structural transformation in the country taking place, which will be forcefully pushed through by the government. This will result in the closure (and consolidation) of many small, possibly even medium sized players together with consolidation of the remaining stronger, larger and more regulated players. Already this is happening in the magnesite business (see Newsfile 4 August 2017: Chinese magnesite supply: 80% to come under state control & consolidation), and one school of thought considers that if successful, this may become a template for successive such reforms in other mineral producing sectors. Frankly, it is a process that China has been promising to undertake for more than a decade. Now it is finally happening. The government is also tackling the “three excesses”: excess production capacity, excessive debt, and excess employment. This is expected to continue to put a drag on economic growth for some time to come. Mineral supply shortages are set to continue, as are prices rises. Even if the latter plateau, the sheer non-availability of physical material will remain an issue well into 2018. Suppliers and traders with mineral stocks will start to ration supply to favoured customers, if not already. The adopted practice of maintaining low inventories in response the 2009/10 GFC where many were left with excess stocks is now turning against the industry. 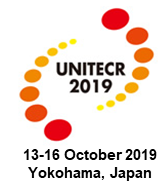 The refractories industry will be obsessed with finding limited raw material and haggling prices, while existing producers outside China ponder capacity expansions and those developing greenfield and brownfield bauxite and magnesia projects will be upping their game. 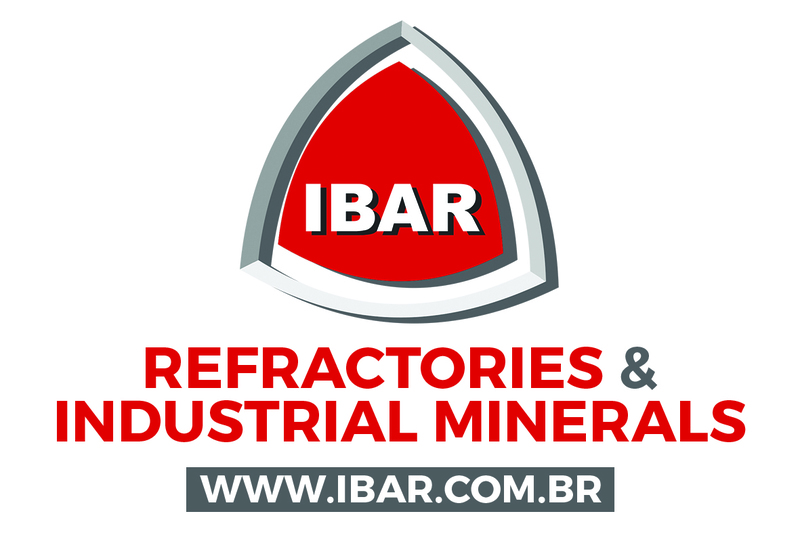 Meanwhile, the mineral recycling sector, particularly refractories, already evolving fast, will be given additional impetus. Watch this space! Mike, another great article. You might be also aware that other refractory raw materials are also rapidly increasing in price. Calcined alumina prices in China for example have risen almost 50% in the last two months and (along with other inputs) this has fed through to increased prices for tabular and WFA. Like you I think this is a permanent change to a higher price regime after perhaps 6-12 months of adjustment..It should be good news for refractory mineral producers and projects outside China. Apart from ref recycling, are there any realistic possibilities for other minerals, outside China, to substitute ? Thank you Mike for this excellent resumé of the recent market conditions on Chinese calcined minerals production and exports. It probably opens opportunities for the largest producers/consumers to look at calcining possibilities outside China and certainly in Central Europe. It is worth having a look at the workability of prices of raw feed, calcining costs, and logistics. It was done successfully 35 years ago! I agree with everyone’s comments so far that this is an excellent article and a very good overview of the dynamic situation with China and minerals’ availability. My only comment is an addition to your processing capability assessment. The FangXing Group supplying bauxite to FX Minerals Inc. in the US and other distributors globally has remained open with full processing capabilities throughout the Chinese crisis. Their calcination plant in Shanxi and their processing facility in Tianjin have passed all governmental regulations, licenses and is current on all tax policies. Regarding BFA they have secured enough reserve material to last until the FX group’s own furnace is operational in 2018. Brilliant article, bookmarked your site.. Very interesting read. Good article and analysis. Price of magnesite has increased to 3 fold in 2017 after export tax abolished and affected some countries dependant of Chinese magnesite. 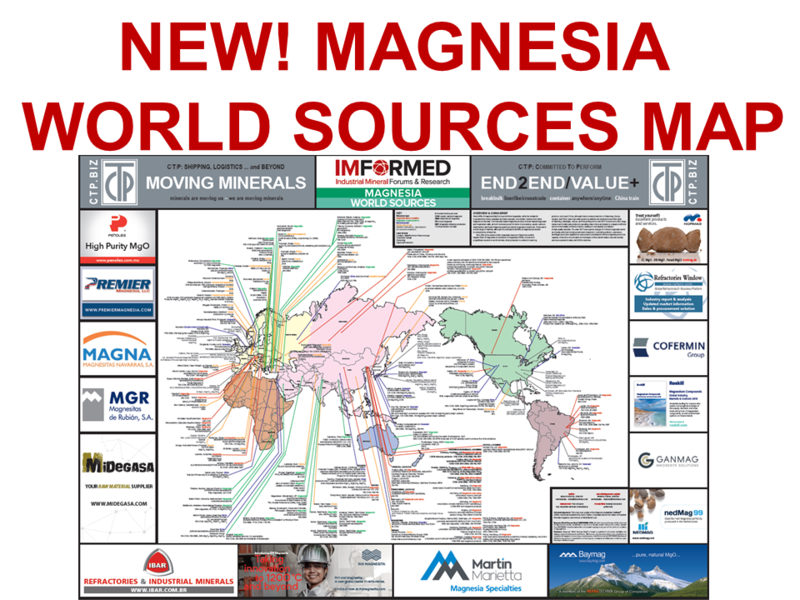 This has opened opportunity for other magnesite producers for new demand. Similarly bauxite producing countries other than China will get similar opportunity to increase price and increase production. Thank you Mike. A very interesting article which confirms my recent messages from BFA suppliers in China. Please enter your email address to subscribe to our Newsfile and receive notifications of new posts by email. Richard Flook on Rendezvous in Paris in the Spring – Thank you! Rendezvous in Paris in the Spring – Thank you! Who is winning the global lithium ion battery arms race? Fluorspar outlook: a new era dawns? Copyright ©2019 IMFORMED Industrial Mineral Forums & Research Ltd. Readers are free to use part or all of Newsfile content with strict provision that clear reference is given to original source and author and link to original web page. Otherwise, unauthorised use and/or duplication of all other material on this website without express and written permission from this website’s author and owner is strictly prohibited. Excerpts and links may be used, provided that full and clear credit is given to IMFORMED with appropriate and specific direction (ie. hyperlink) to the original content.